The nickname ‘pre-madonna’ did not sprout out of thin air. Madonna is THE ORIGINAL pop diva and the leader of the pack of the last century so it makes sense that she would have an attitude to go with it, right? Well, wrong. 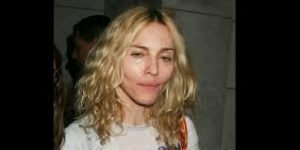 Industry folks don’t like Madonna’s behavior on the set of her films and her inability to listen and or respect the director. There is a reason why her films aren’t as good as we thought they would be. She didn’t like taking cues from anyone, even when it would have benefited her greatly.